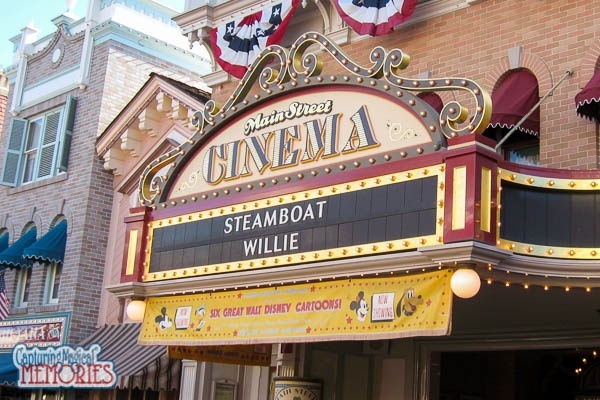 What or who is Steamboat Willie? 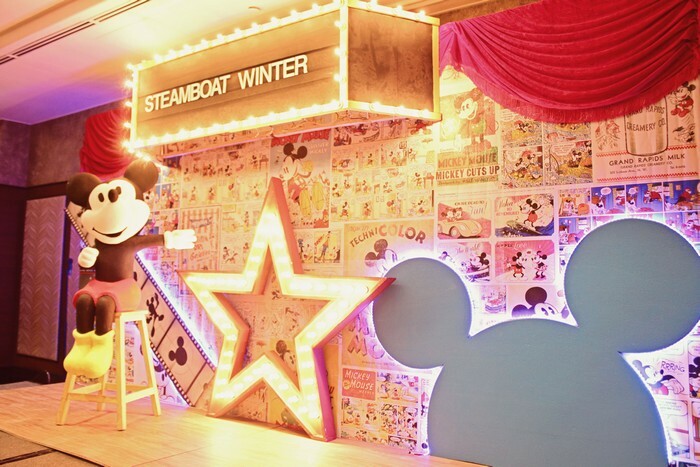 Well, Steamboat Willie is a short film directed by Walt Disney himself, where Mickey Mouse made his debut appearance. 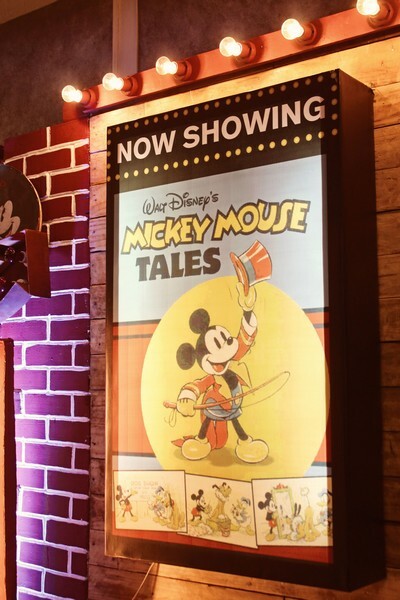 Remember the black and white intro you see whenever you watch a Disney movie, where Mickey Mouse is whistling this jaunting tune? 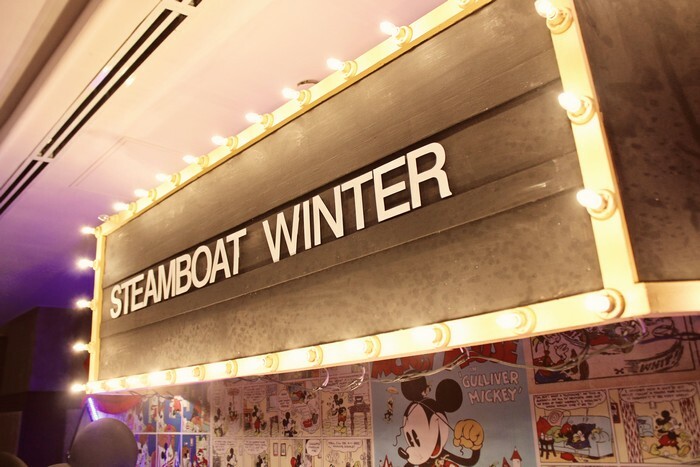 That’s straight from Steamboat Willie! I love how styling puts such a spin to these classic themes. If you recall my previous blog post about 12 Ways To Make Your Lego Party Awesome, that was another spin to a classic theme, Lego. 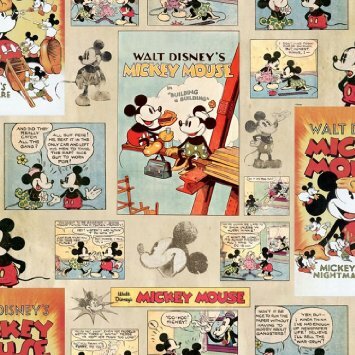 Sometimes, clients get overwhelmed with the fact that they are tackling such a wide ranging theme (for example, Disney) that they forget that the best parties are those that are “tightly conceptualized”, or focusing on a limited aspect. I am also very proud of our ceiling work. 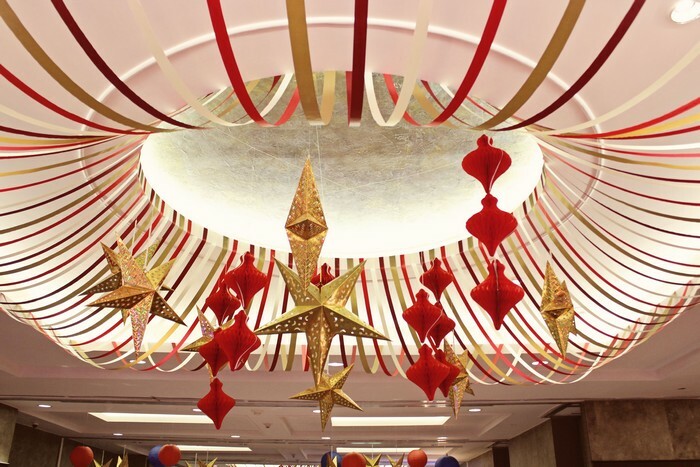 We hung ribbons in 3 colors and assorted gold and red lanterns in the middle of the cove lighting. 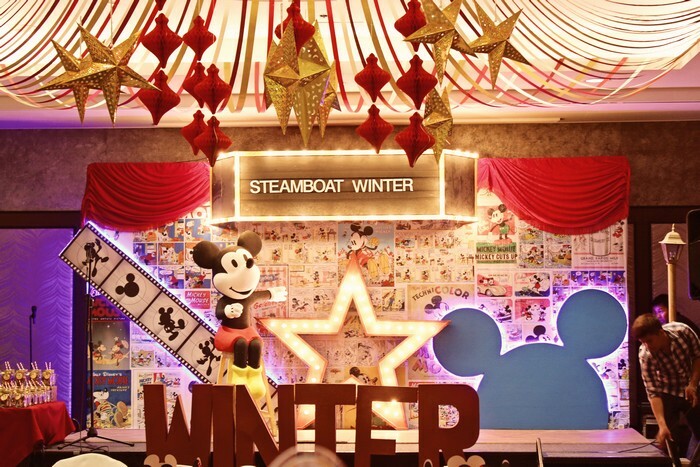 This photo-area is too cute. 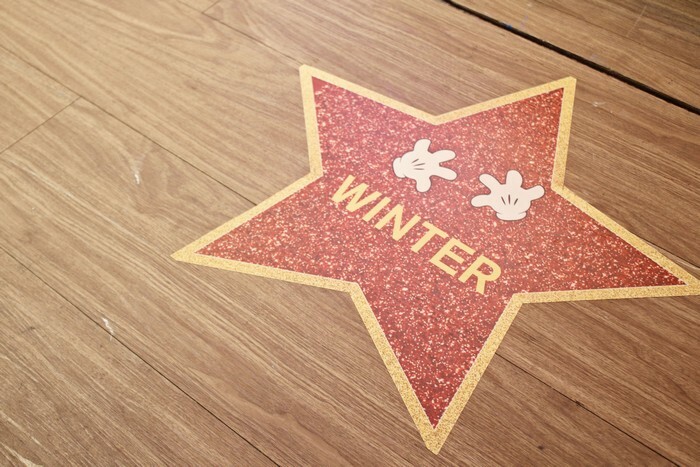 I especially love the “Now Showing” light box, and the star print on the floor with Mickey’s “glove prints”! Makes for a nice photo with the family. 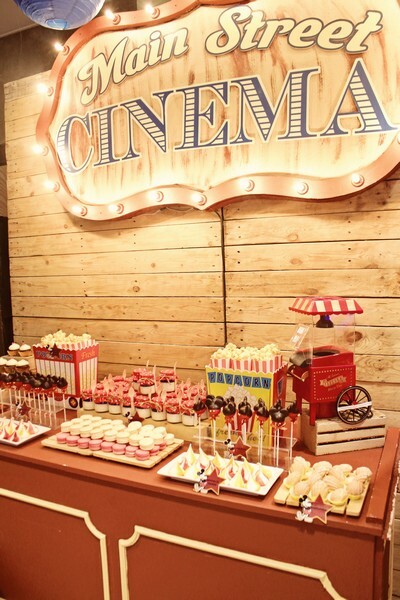 The dessert area focused on “Main Street Cinema” as the overarching theme. 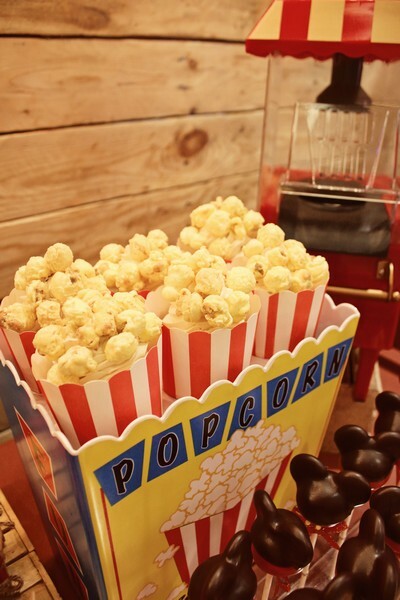 Think about these desserts as the treats that people usually buy before going into the movies! 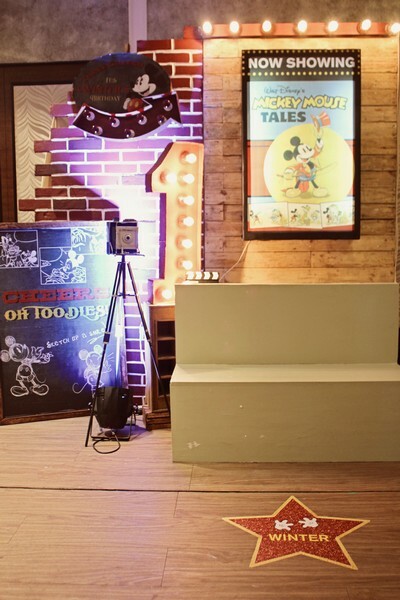 Racking your brains for some nice Mickey Mouse party ideas? 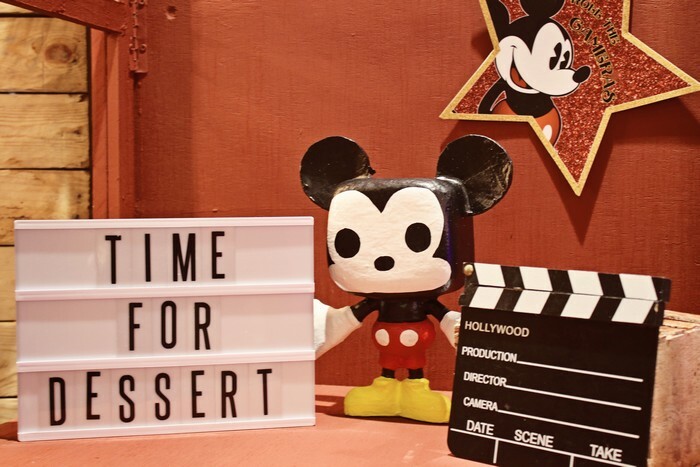 Take a look at some of these thematic desserts below! 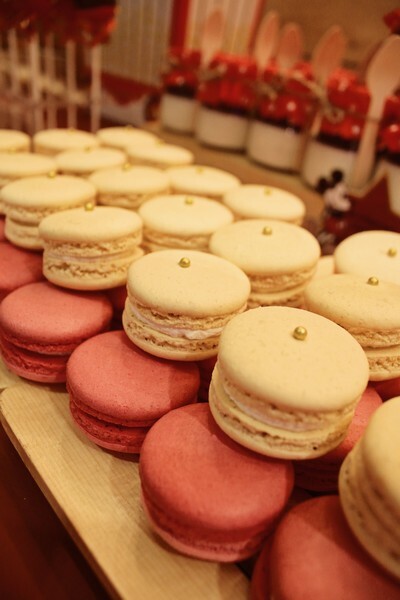 Bake some macaroons, and make sure they are in the color of vintage red and pale yellow. 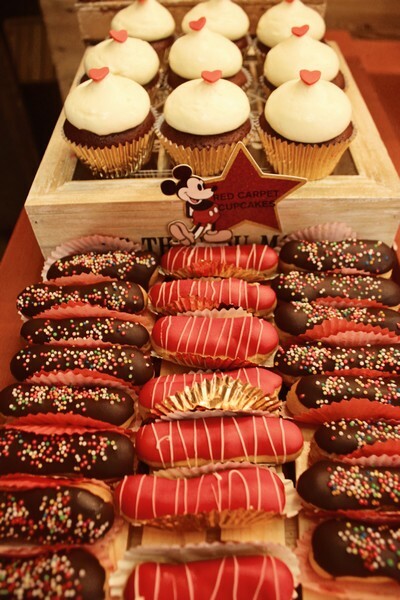 Decorate eclairs with sprinkle toppings. 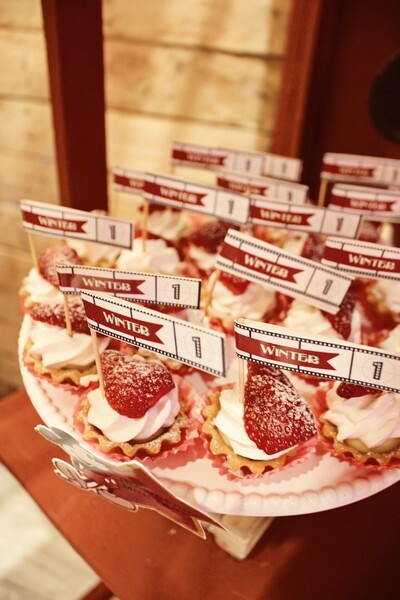 Bake strawberry fruit tarts and make toppers in the shape of a movie reel! Well, I hope you liked today’s party feature. The Party Magic team and I definitely enjoyed decorating this one. If you have any questions, you know where to reach me. Wow! Amazing! 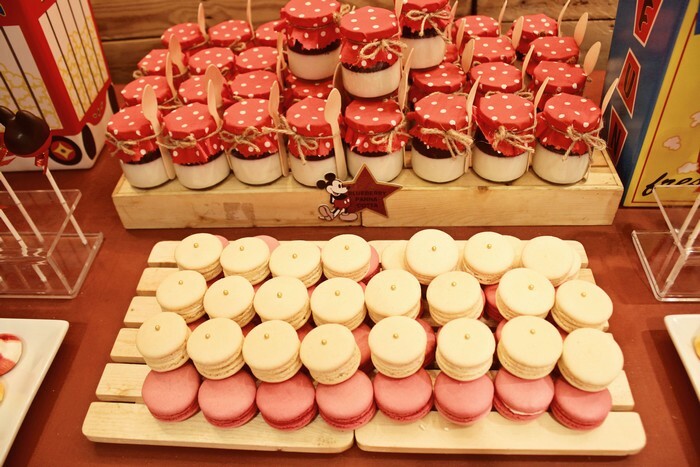 I am currently pregnant with my first child and I am already imagining his first birthday or baptisim party. And your blog makes me so excited! I hope we could work together when my son is born!